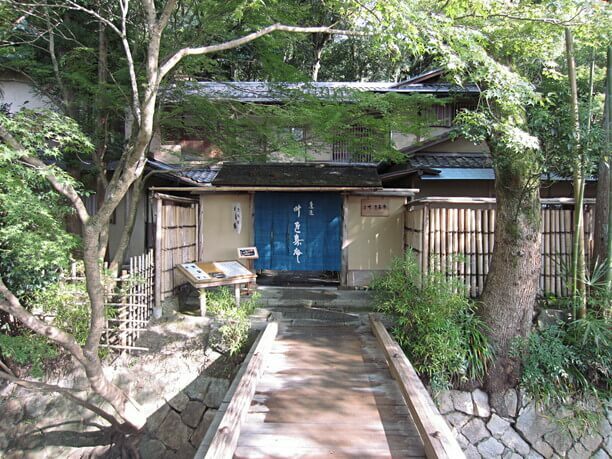 There is a path that runs from the Silver Pavilion to the Nyakuoji Shrine for about 1.5 kilometers (about 0.93 miles) and it is called the Philosopher’s Walk and chosen as one of Japan’s top 100 paths. 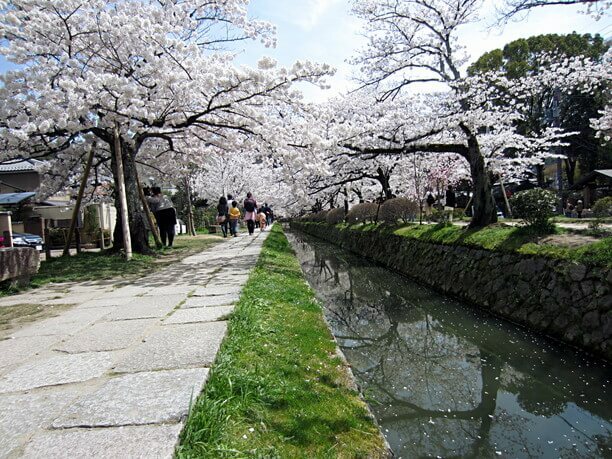 Cherry trees and maple trees are planted along the channel that flows constantly. This is the very famous stroll path that has a special ambience and a lot of tourists visit throughout the year. 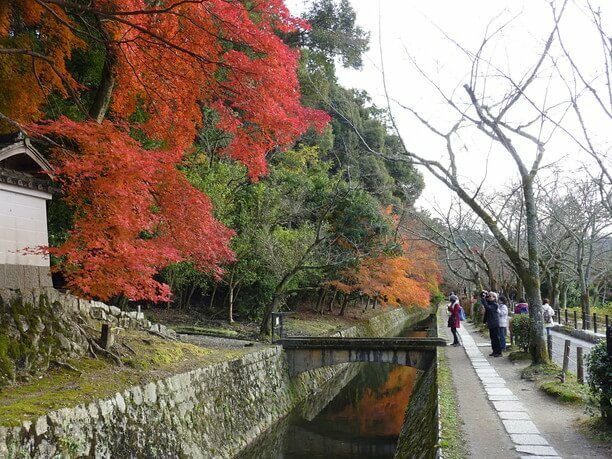 Different faces of different seasons make Philosopher’s Walk so attractive! The Philosopher’s Walk that runs along the channel is a path with a special ambience. It usually has traffic of people walking but it is not that noisy. Walk on the path, pass by a few other people, enjoy listening to the sounds of your feet stepping on the gravel, and keep walking in a quiet contemplation. Now you feel like you are a philosopher! However, the Philosopher’s Walk changes dramatically depending on the season. First, cherry blossoms are in full bloom so wildly in spring. There are cherry blossom trees on both sides of the channel. It is just like a cherry blossom tunnel. 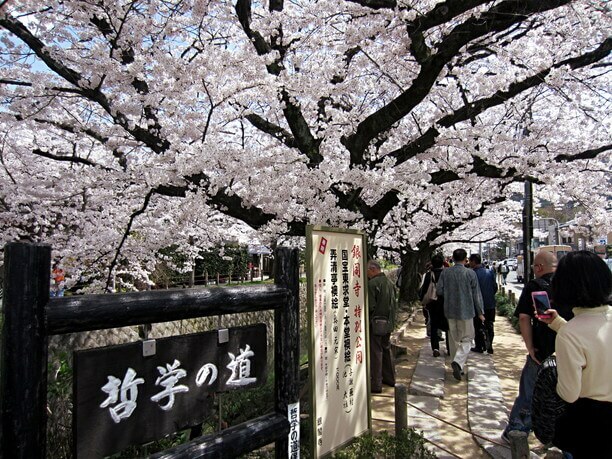 The Walk is one of the best flower-viewing spots in Kyoto. The Walk that is colored by cherry blossoms in spring shows maple leaves changing their color in autumn. The bright red maple leaves reflect on the water and it is amazingly beautiful. 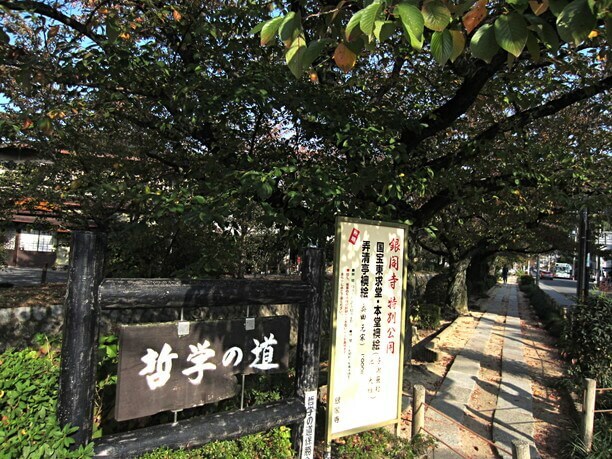 The Philosopher’s Walk is famous among many people for being the best place for autumn-leaf viewing. In early summer, fireflies fly around here. Can you believe that? On the Philosopher’s Walk, you can appreciate the changing of beautiful Kyoto and a countless number of tourists flock around during the busy season. When that happens, the Walk would not be the place for philosophers to contemplate. Why “philosopher” in the first place? The name “Philosopher’s Walk” is a little different. 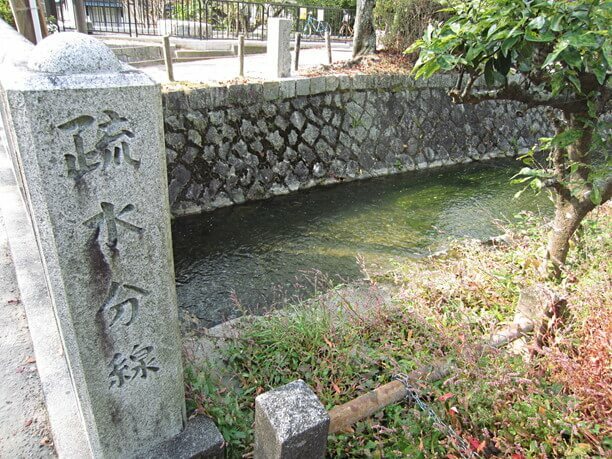 It was named after a well known Japanese philosopher, Mr. Kitaro Nishida who loved to walk here. Before that, the path had been called “the Literally Man’s Walk” or “ the Stroll Walk”, it looks like the path was thought to be the perfect path to walk in deep contemplation back then, too. 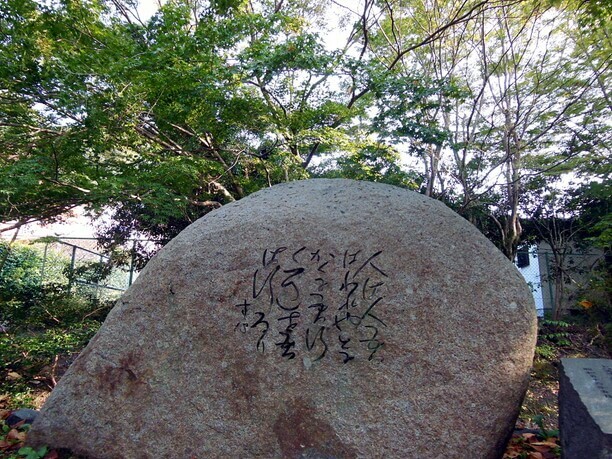 There is a Kahi (a stone monument inscribed with a poem) of Mr. Kitaro Nishida near the Honen-in temple about the middle of the Walk. Do you know why this path is called the “Philosopher’s Walk?” You can ask this question to your friend in front of the Kahi and explain it to him/her to share your knowledge! 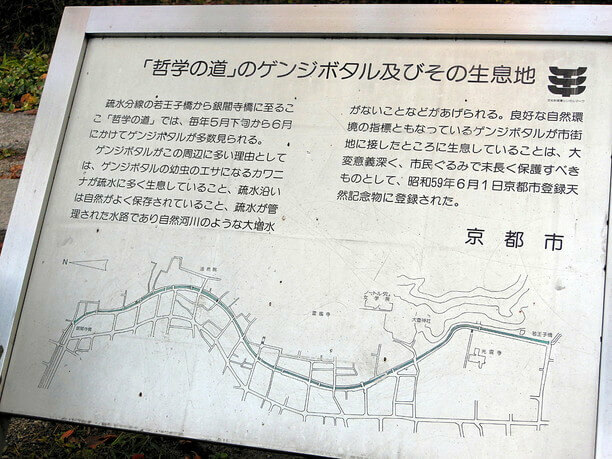 Which is the starting point of the Philosopher’s Walk? There is a large sign at the north end of the path and walking from north to south is a regular route. Some guidebooks mention the route from south to north. 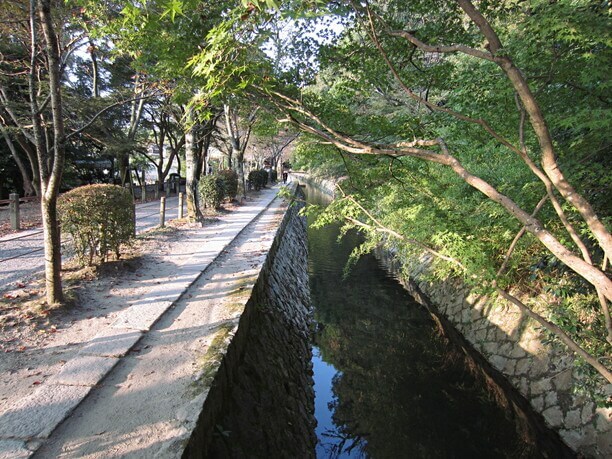 Rivers in Kyoto flow from north to south, but the channel in the Philosopher’s Walk unusually flows from south to north. 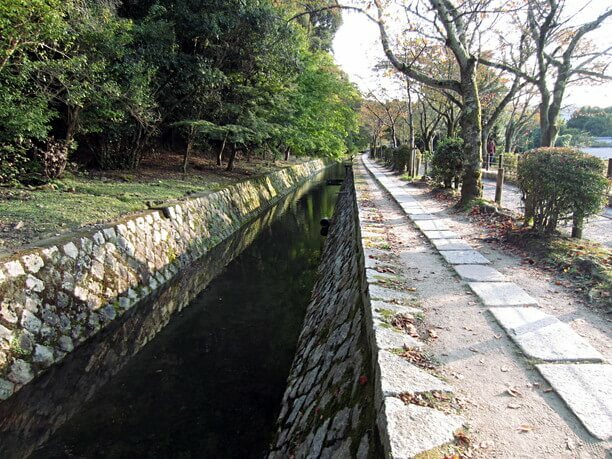 The channel along the Philosopher’s Walk is called Biwa-ko (Lake Biwa) Canal and it is a channel off the artificial river built in order to draw water from Lake Biwa to the Kamogawa River. The route goes along with the flow of the channel is often mentioned, too. 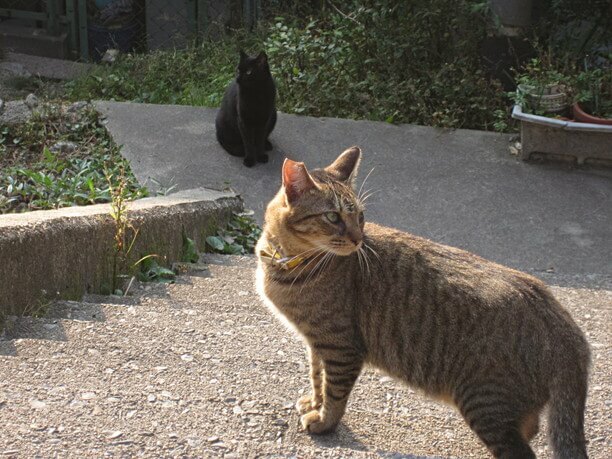 Philosopher’s Walk has got the new specialty –Cats? 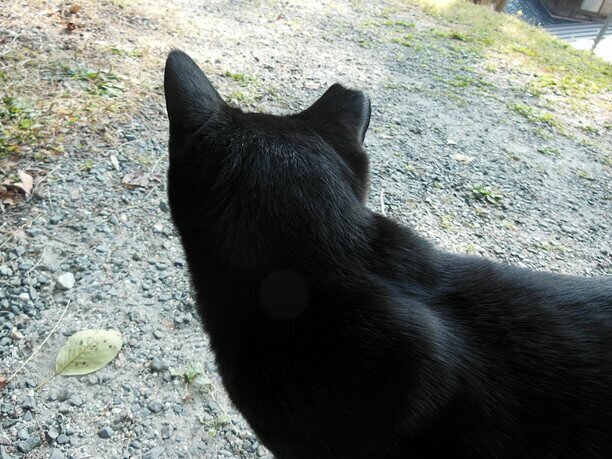 The cats that live around Nyakuoji have a triangular cut in their ear. 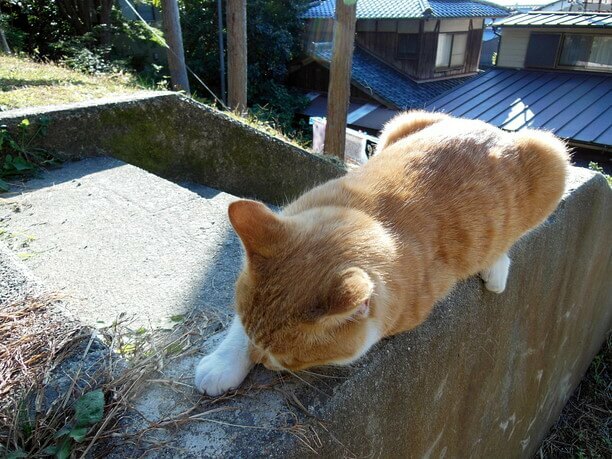 It means that cats are neutered or sprayed by volunteers. The Philosopher’s Walk has a total length of 1.5 kilometers (about 0.93 miles). When you walk from one end to the other, you’ll feel pleasantly tired. Then you’ll get hungry for something sweet. 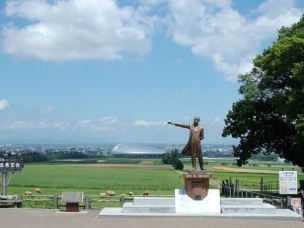 The place I would like to recommend is Kanou Shoujuan. At the south end of the Philosopher’s Walk, there secretly stands a Japanese traditional sweet shop that has an atmosphere of a hideout in the forest. You can eat real Japanese traditional sweets here. 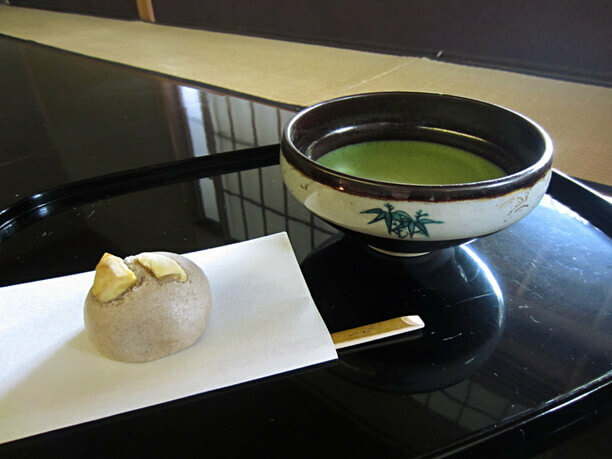 The Macha (powdered green tea)-set menu with a Japanese unbaked cake of the season is what I highly recommend. Enjoy a pleasant and quiet time with the sweets and tea in the Japanese style terrace in the garden or a Japanese tea room in the shop. The Philosopher’s Walk is a pleasant stroll path that has beautiful trees alongside, which is very famous. 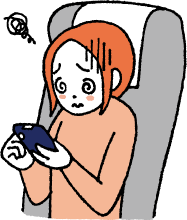 You can enjoy cherry blossoms in spring, hydrangea flowers in early summer and beautiful colored leaves in autumn. The Walk has a very nice atmosphere and it is not paved for the most part. 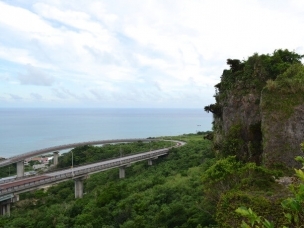 It runs for 1.5 kilometer (about 0.93 miles) and it is a long way, so please wear comfortable shoes. Close to the ending point of the Walk, there is a Japanese traditional sweets shop “Kanou Shoujuan” which looks like a hideout. The tea ceremony room has Koagari (raised tatami-floored seating area) and you won’t have to sit on your heels. 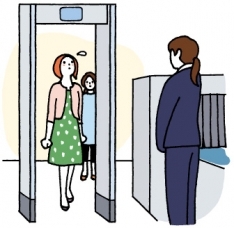 It is very nice for visitors from other countries and people who are tired of walking. The Philosopher’s Walk is a popular spot that represents Kyoto. 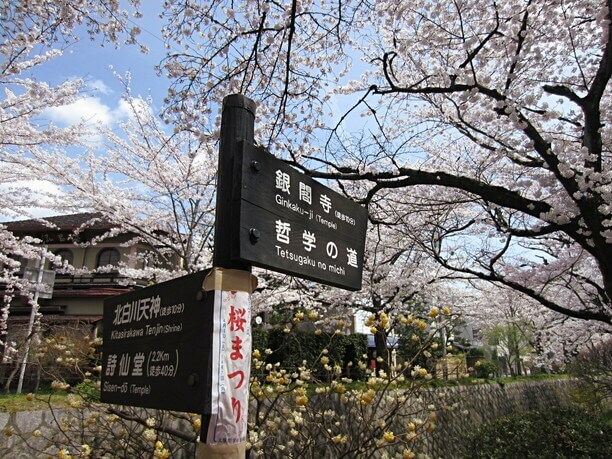 The relaxing atmosphere is great but you must visit during the cherry blossom or autumn colored seasons. If you visit at a different time and have thought like “Oh, the walk was just a walk”, please visit again either in spring or autumn. You’ll have a completely different impression for sure.